The expectant parents, Prince Harry & Meghan Markle, gave themselves a treat yesterday out in town. The royal couple attended the Cirque du Soleil Premiere of Totem at Royal Albert Hall on the 16th of January, 2019 in London, England. 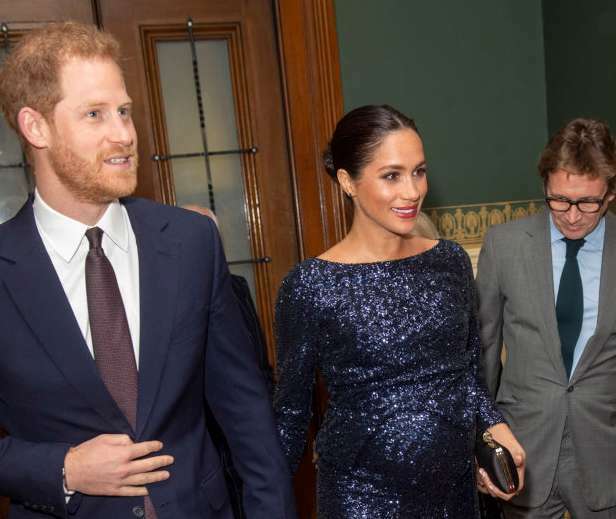 For the night, Meghan Markle went with a Roland Mouret gown, Givenchy clutch, Stuart Weitzman shoes, and Princess Diana’s Heirloom Bracelet. The Rebirth Of TM: Toke Makinwa Is Getting A New Vibe!